Friends of South Dakota Public Broadcasting requires directors, officers and employees to observe high standards of business and personal ethics in the conduct of their duties and responsibilities. As employees and representatives of the Friends of SDPB, we must practice honesty and integrity in fulfilling our responsibilities and comply with all applicable laws and regulations. This Whistleblower Policy is intended to encourage and enable employees and others to raise serious concerns internally so that Friends of SDPB can address and correct inappropriate conduct and actions. It is the responsibility of all board members, officers, employees and volunteers to report concerns about violations of Friends of SDPB’s code of ethics or suspected violations of law or regulations that govern Friends of SDPB’s operations. It is contrary to the values of Friends of SDPB for anyone to retaliate against any board member, officer, employee or volunteer who in good faith reports an ethics violation, or a suspected violation of law, such as a complaint of discrimination, or suspected fraud, or suspected violation of any regulation governing the operations of Friends of SDPB. An employee who retaliates against someone who has reported a violation in good faith is subject to discipline up to and including termination of employment. Friends of SDPB has an open-door policy and suggests that employees share their questions, concerns, suggestions or complaints with their supervisor. 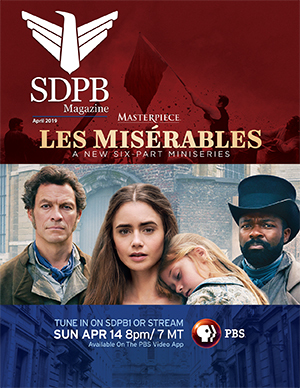 If you are not comfortable speaking with your supervisor or you are not satisfied with your supervisor’s response, you are encouraged to speak with the Executive Director of SDPB. Supervisors and managers are required to report complaints or concerns about suspected ethical and legal violations in writing to the Friends of SDPB’s Compliance Officer, who has the responsibility to investigate all reported complaints. Employees with concerns or complaints may also submit their concerns in writing directly to their supervisor or the Executive Director or the organization’s Compliance Officer. The Executive Director of the SDPB Network is responsible for ensuring that all complaints about unethical or illegal conduct are investigated and resolved. The Compliance Officer will advise the Friends of SDPB Executive Committee of all complaints and their resolution and will report at least annually to the Chair of the Friends of SDPB Executive Board on compliance activity relating to accounting or alleged financial improprieties. The Friends of SDPB’s Compliance Officer shall immediately notify the Friends of SDPB Executive Board of any concerns or complaint regarding corporate accounting practices, internal controls or auditing and work with the committee until the matter is resolved. The Friends of SDPB’s Compliance Officer will notify the person who submitted a complaint and acknowledge receipt of the reported violation or suspected violation. All reports will be promptly investigated and appropriate corrective action will be taken if warranted by the investigation.